Purchasing a ticket for an event reserves your space. We do not offer refunds for an event you can not attend. We can however transfer your registration to another person within your company. 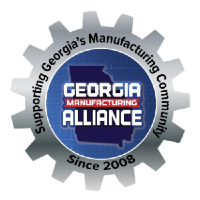 You must notify us at least two days prior to the event in writing to support@georgiamanufacturingalliance.com. Please send the First/Last name, phone, and email of the person you are transferring your ticket to, so we can send them a confirmation and have a name tag available at the event.